I never used to carry "bear spray," aka heavy-duty pepper spray, into the woods with me. Bears in New England aren't interested in connecting with humans; sing loudly, or wear "bear bells," and they will move away before you're close enough to know you have company. Most other wildlife behavior is similar here (although nothing likes being stepped on). But the first time I realized a human was following me on those long lonely paths, I bolted to the camping supply store to buy a large personal spray canister. So two books from my stack have struck a shivery chord of recognition for me recently. 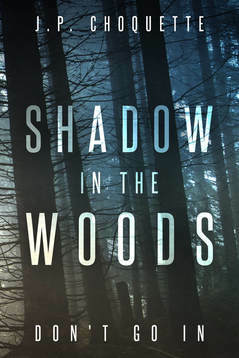 The first, which I was re-reading (it came out last fall), is J. P. Choquette's Vermont horror novel, SHADOW IN THE WOODS. It starts with a few hints about a Sasquatch and a disappearance, then fades to normal with Addie Preston's prep for a group hike with clients. Addie is a relatively new mental health counselor with an understandable crush on her older male colleague, Dr. O'Dell ("call me Dell"). And she's thrilled to be the second professional on an eco-therapy effort, taking four patients up into the mountains for overnight camping and new experiences of coping with their internal anger and fears. But some of that anger is not so internal after all, and neither are the terrors, some of them perfectly rational as Addie realizes nobody has the skills to save her from even the ordinary perils of rain-washed trails, limited map skills, failed phone service ... and a quick run of injuries and losses turning the trip into a nightmare. Choquette (who has written sleuth fiction in the past but is on an exuberant roll with gothic-inspired suspense situations now) sets up the likely losses, and spins Addie into panic-stricken coping efforts. Some readers will wish the book were longer, with more room for Addie to face her own changes -- instead, it's a tight 248 pages of action and response, a good weekend read (as long as you're not planning an overnight trip up your mountain, right?). 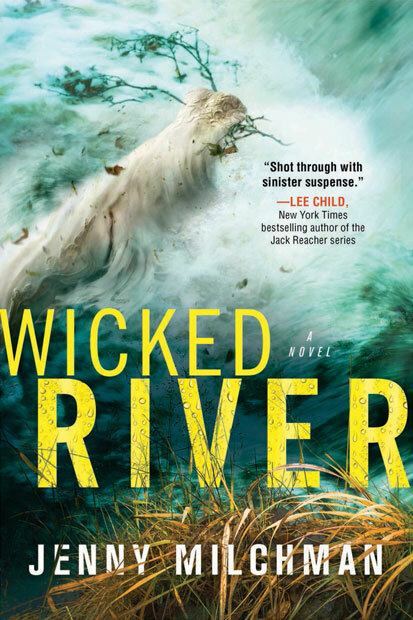 Escalate that sense of dread and peril with the newest book from Jenny Milchman, WICKED RIVER, coming out May 1. This is her fourth, and she's ramped up the intensity and threat in every twist. Start with newlyweds Natalie and Doug Larson, headed for a back-country honeymoon in the Adirondacks. So what that there are six million often-roadless acres in front of them ... they have GPS, Doug has friends who may cross paths with them, and between their rugged vehicle and a new canoe, and Doug's massive expertise, everything should be fine. 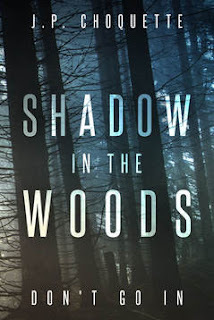 Except there are people hiding in those forested acres who have no desire for company -- or if they do want Natalie and Doug to come see them, there are no valid exit plans that will succeed, once a wilderness psycho and a few criminal moves get woven into the journey. You didn't question a bond like theirs just because things had gone horribly wrong. Look at what Doug had been willing to do for her when it came down to it. She didn't want to be out here without him. She didn't want to be anywhere without him. Doug lowered himself onto the forest floor, gingerly positioning his arm. "I was trying to save you," he said mildly. "Oh Doug," Natalie said. Tears stung her eyes, though there didn't seem to be enough of them to fall. "If you had died, I don't think I could have gone on without you." She said the words with more certainty than she'd spoken her vows just six days ago. But Natalie's underlying unease isn't groundless; Doug has in fact compromised their safety, and she's nowhere near understanding what's ahead. You'll want your own pepper spray after this one. You might want to schedule a practice session in the back yard, to be sure you're prepared. Thank you so much, Beth! What a wonderfully worded review. I look forward to checking out Jenny Milchman's newest book and appreciate all that you do to promote authors. :) Thanks again. I am picturing a new kind of book event...attendees hike into the woods and authors read scary excerpts around a campfire. Then we all make s'mores and hot chocolate to make ourselves feel better ('cause chocolate/sugar have that effect :) Who's in?